At Least 20% off in our Fragrance Fortnight! The days are getting crisper and the nights are getting darker… it’s well and truly autumn now, and you know what that means. It’s time to renew your wardrobe. Your fragrance wardrobe, that is! We’re offering at least 20% off all fragrance* until Sunday 29th September to help you to update your scent selection for the months ahead. So whether you’re looking to treat yourself or you’re getting organised for Christmas (how productive! ), our Fragrance Fortnight isn’t to be missed. Check out the new season releases from Dolce & Gabanna, Prada, Paco Rabanne and Marc Jacobs, or if niche fragrance is more your thing, take a look at the latest from Serge Lutens, Mark Buxton, Etat Libre d’Orange, and Comme des Garcons. Whatever your style, say it with new season scent. 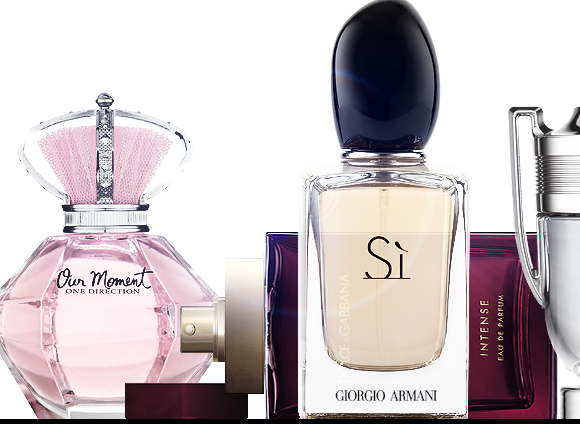 This entry was posted on Monday, September 16th, 2013 at 5:55 pm and is filed under Fragrance, Offers. You can follow any responses to this entry through the RSS 2.0 feed. You can skip to the end and leave a response. Pinging is currently not allowed.